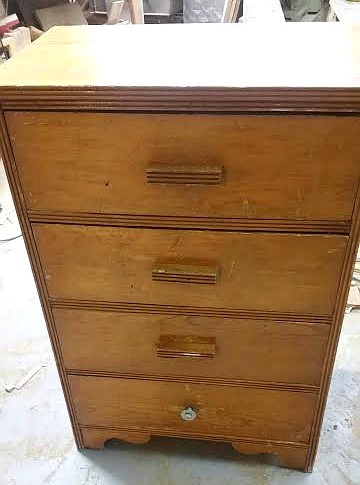 Dresser? Chest of Drawers? Whatever you call it, this little one got an easy makeover. It was pretty wobbly, so the first order of business was to secure it by adding screws to the front braces that run above each drawer (or below it, depending on how you look at it). 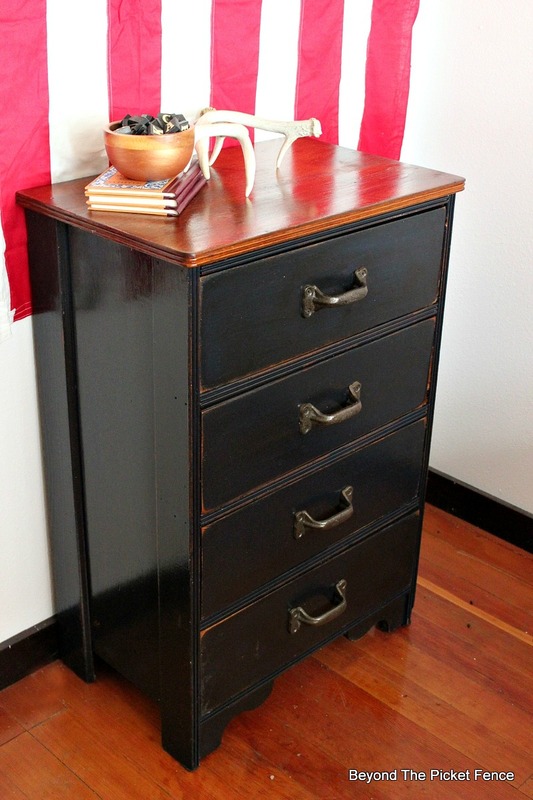 I did this by countersinking screws into the braces and into the sides of the chest of drawers. 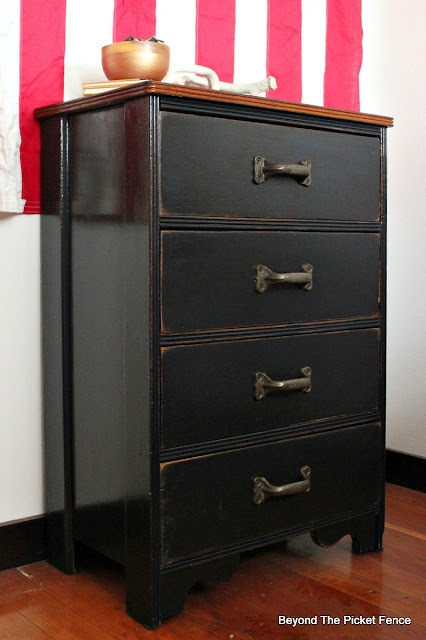 After a good sanding of the top and a quick spot sanding of the rest to get rid of dings and dents, I painted the dresser in one of the new Fusion Mineral Paint colors--Midnight. I left the top unpainted and stained it in Early American from Minwax. I added some chunky industrial handles ( two of the handles on it were broken) and a clear coat and this oldie has new life. I am showing it in the entry to my old schoolhouse, where a ginoromous flag hangs. 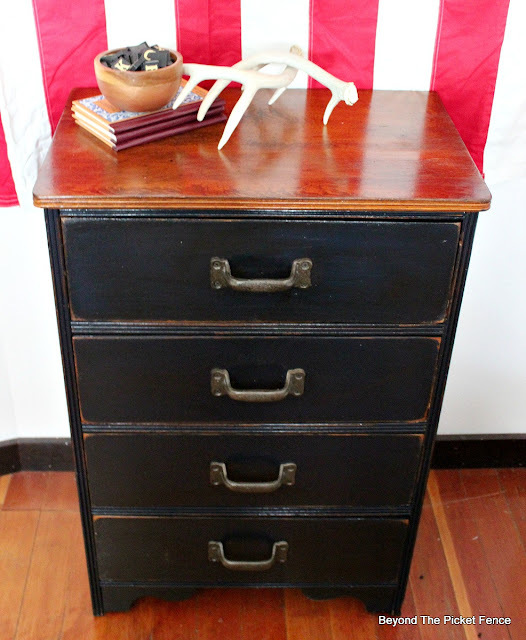 This piece would be great in any industrial/rustic/farmhouse decor! It is such a pity that you don't have a you tube channel...you do an amazing job but for me it is impossible to understand de transformation unless I see it. Wow what a difference! Beautiful job!! Oh, it's lovely. It would have never caught my eye in it's previous form, but this is a wonderful transformation!